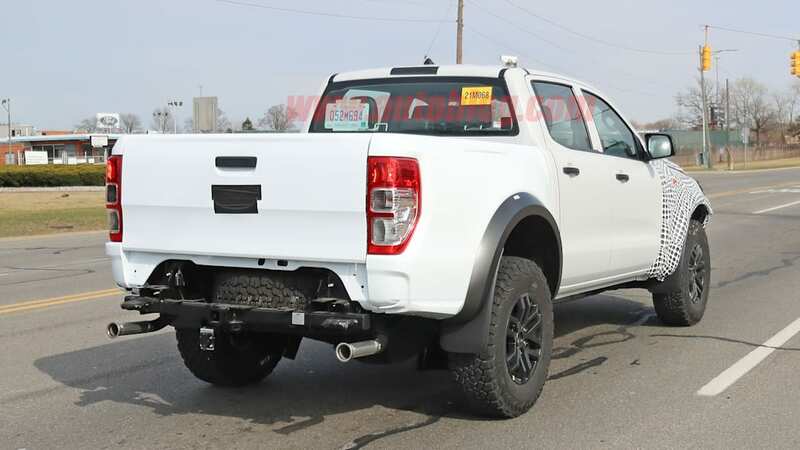 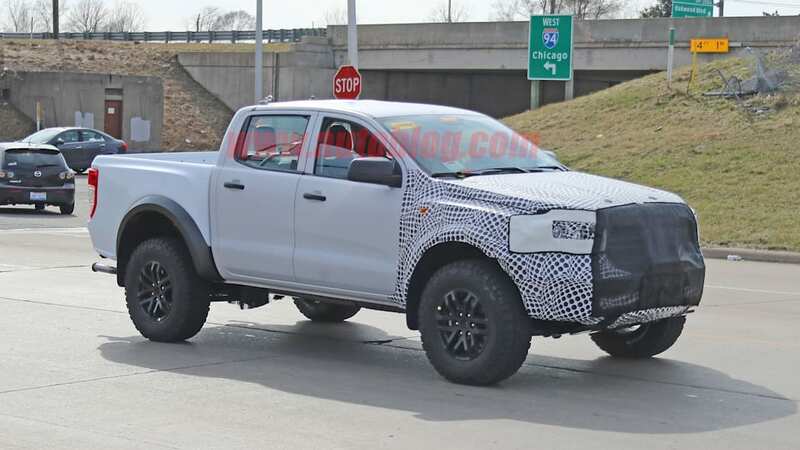 This could be a Ranger Raptor mule for America. 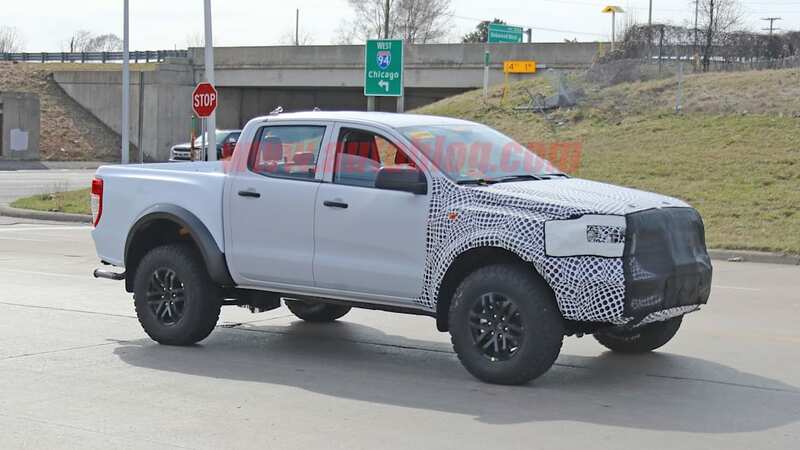 The Ford Ranger Raptor hasn't been confirmed for the States yet, but a previous report has us thinking we'll be getting the off-road mid-sizer when Ford next gives the Ranger an overhaul. 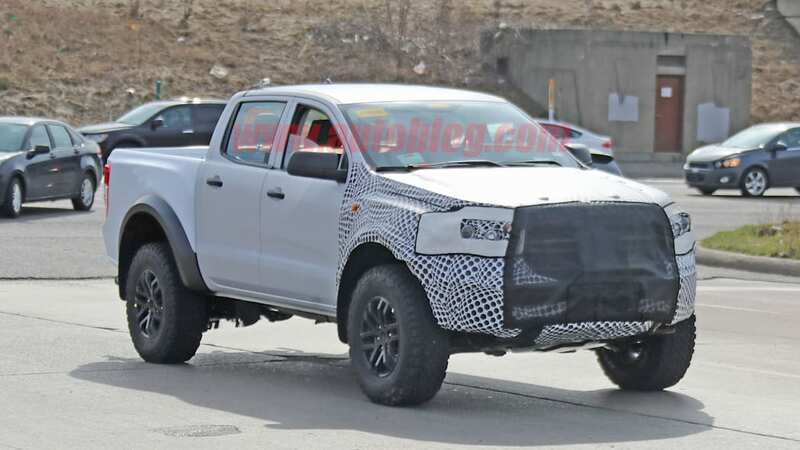 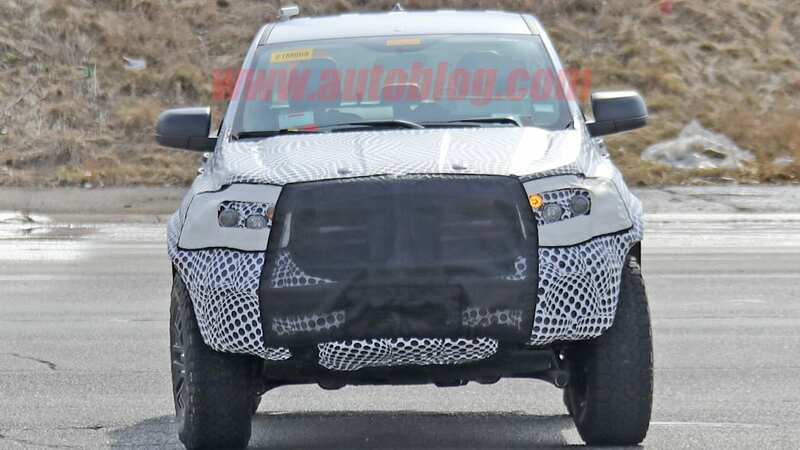 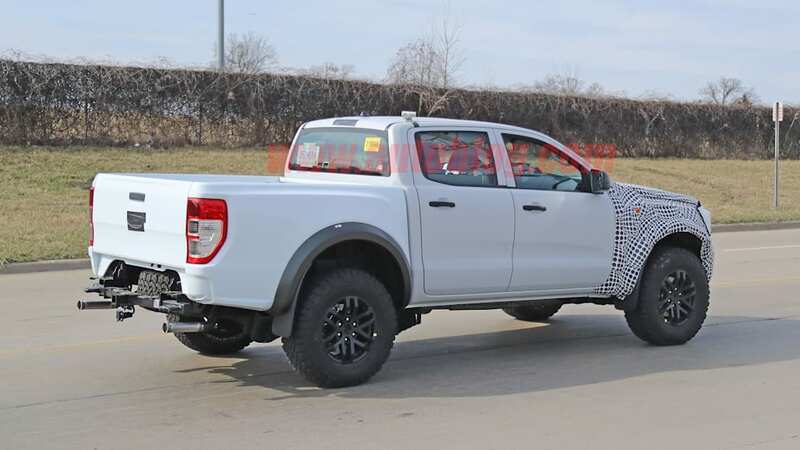 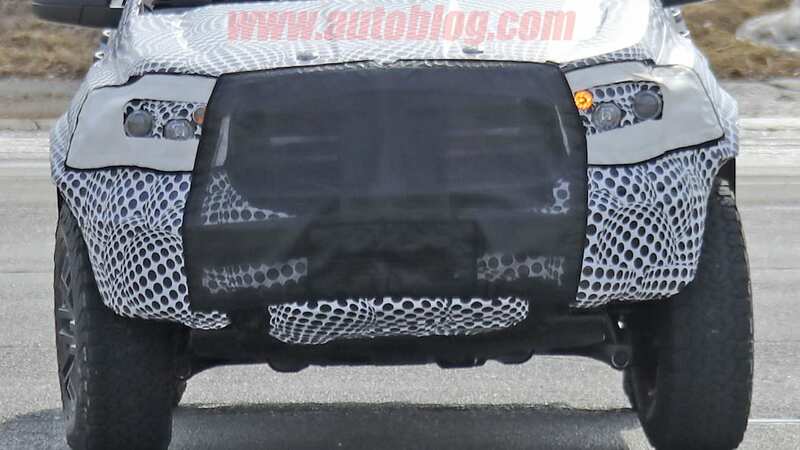 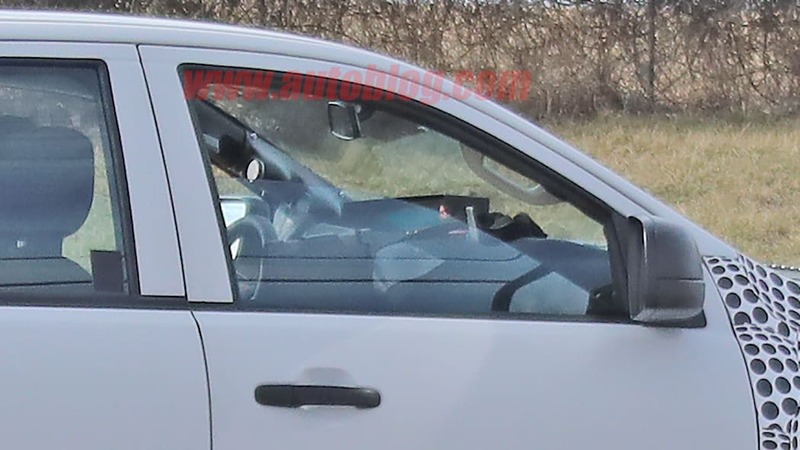 These spy photos are showing us what might be a mule for the future Ranger Raptor, wrapped in the same bodywork as the current Ranger Raptor. 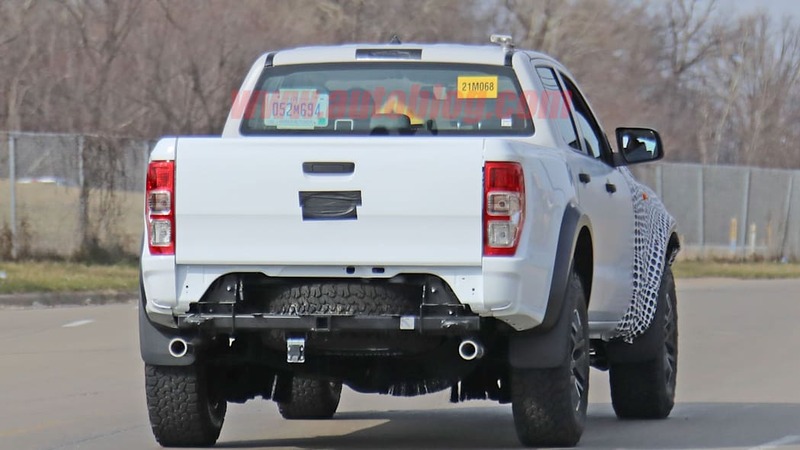 Perhaps the most intriguing part of these shots are the similarities we see between this truck and the Broncos we've seen running around. 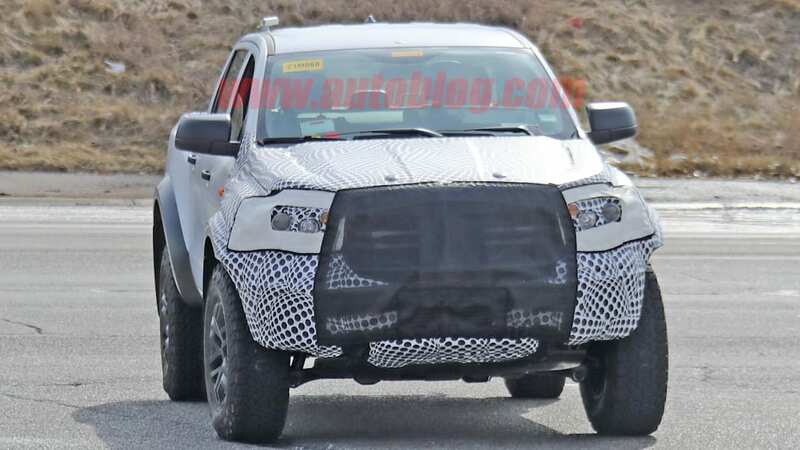 It has the same grille as the Bronco — Ford didn't include the massive "FORD" lettering on the mule we'd expect to see on a Raptor, but that would just make things too obvious. 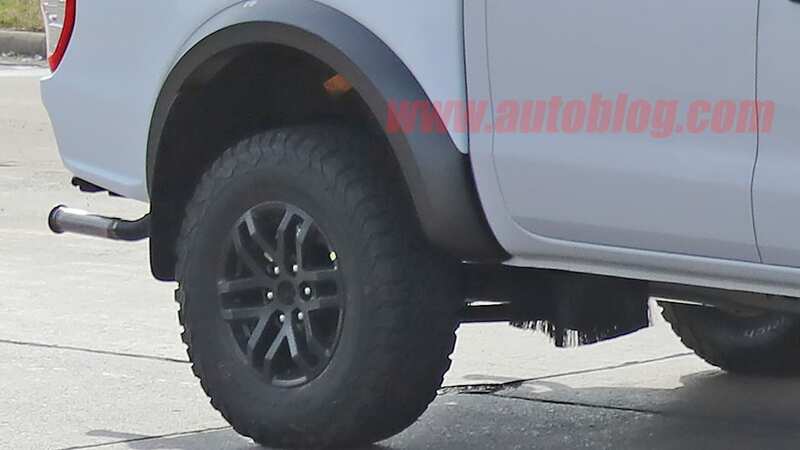 Then there's the bristles covering the rear suspension in the same way they're hiding the Bronco's hardware. 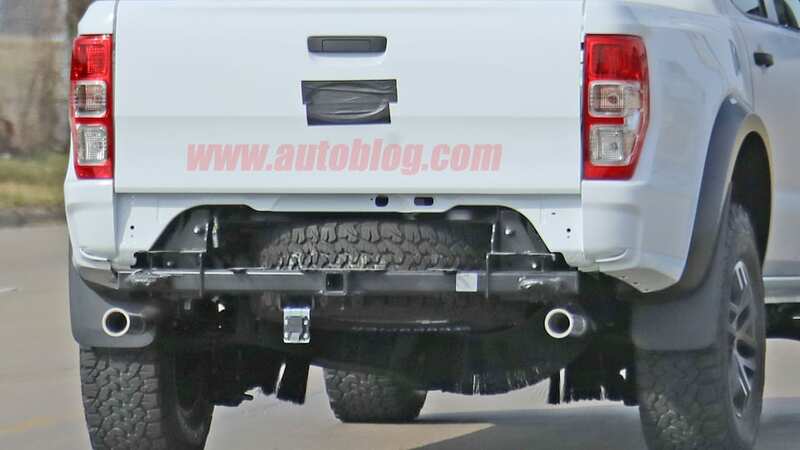 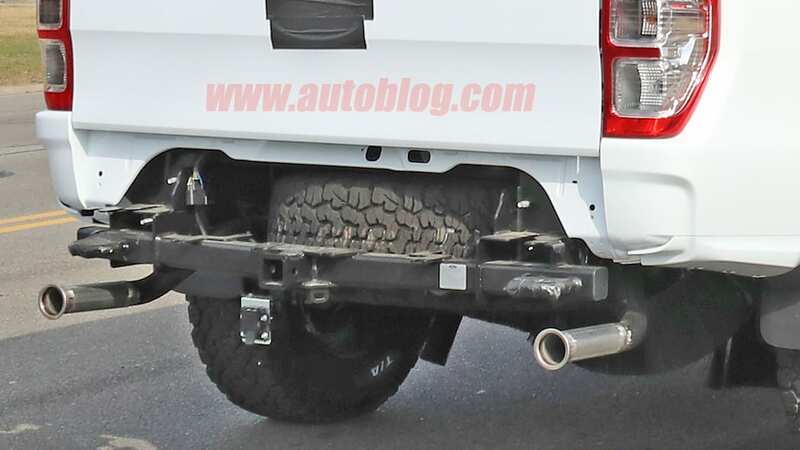 We were able to make out a bit of what was under the Bronco's rear in the last batch of spy photos, but Ford has made sure the same isn't possible with these. 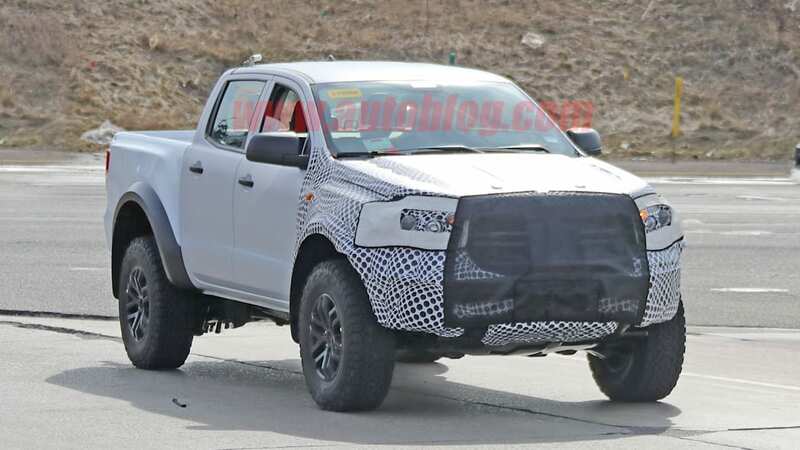 It's unlikely that we would see anything drastically different from the solid axle and leaf springs equipped on the Ranger now. 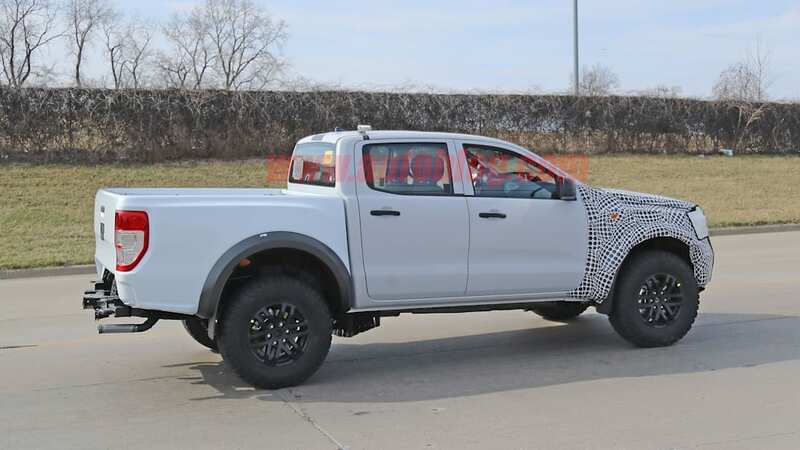 Chances are, Ford just doesn't want us to see whatever off-road Fox shocks and possible remote reservoirs for said shocks that it might have for the setup out back. 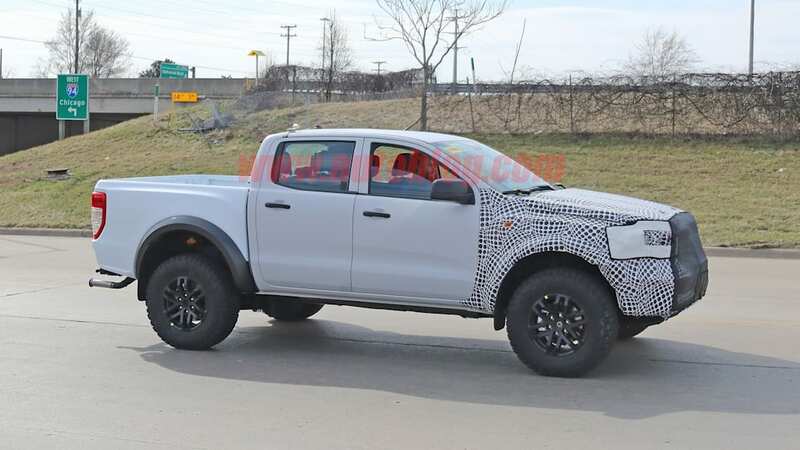 Our spy shooters claim that the car sounded like it had a V6, and the dual exhaust suggests it definitely doesn't have the four-cylinder diesel from the current Ranger Raptor sold in other markets. 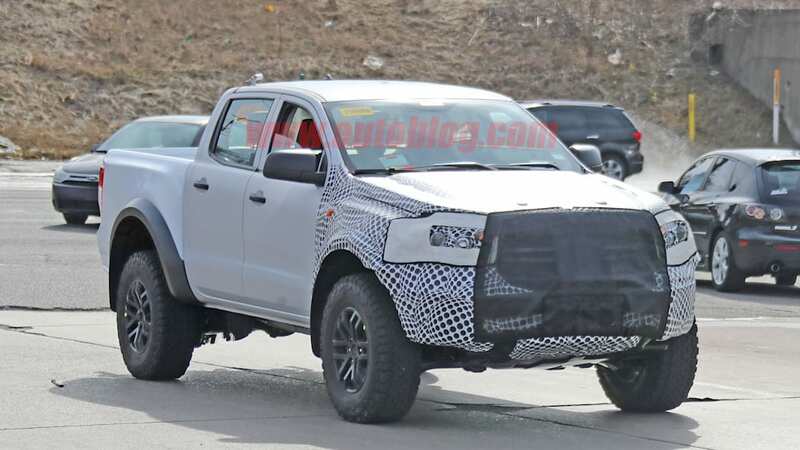 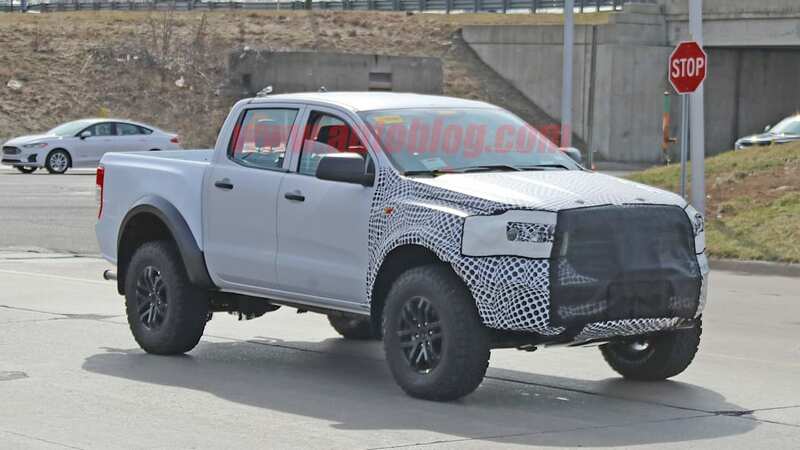 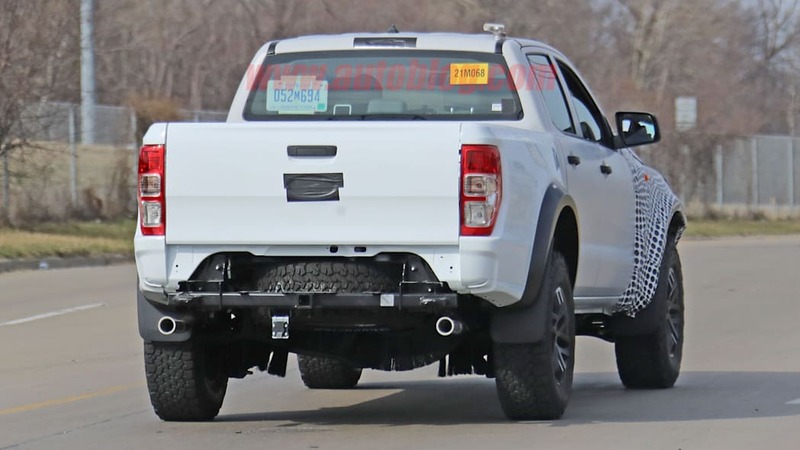 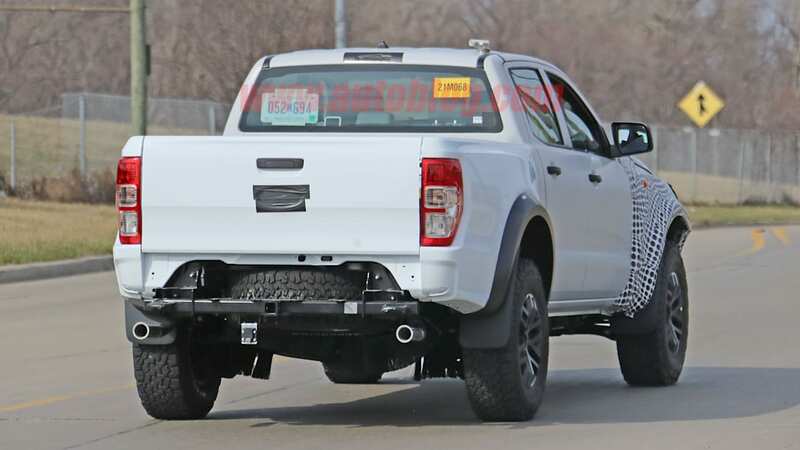 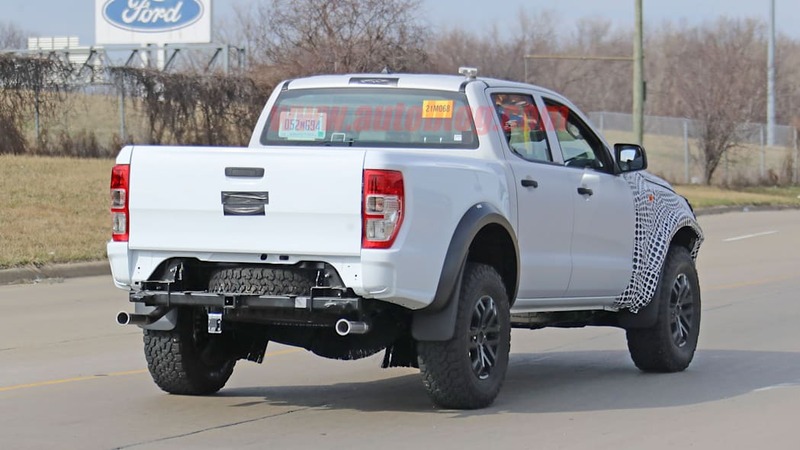 That, plus the similarities to the Bronco spy shots give us the strongest indication that this particular truck is a test mule for a Ranger that will ultimately be sold here. 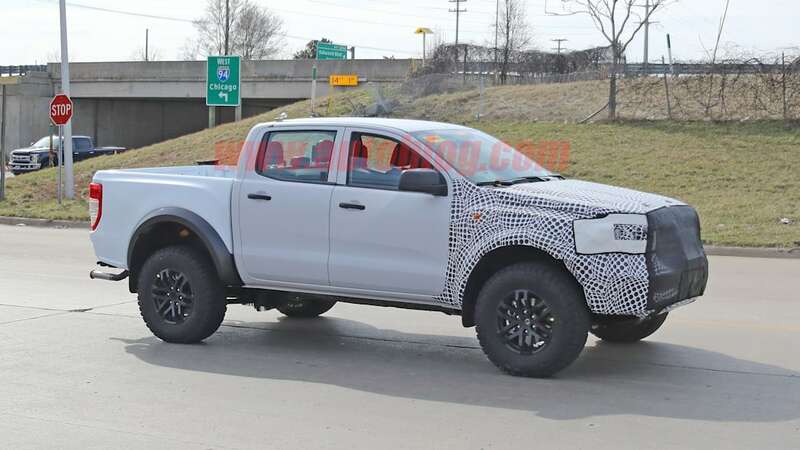 We definitely expect an engine upgrade from the 2.3-liter four-cylinder in the normal Ranger, and the 2.7-liter EcoBoost V6 would be the most obvious choice. 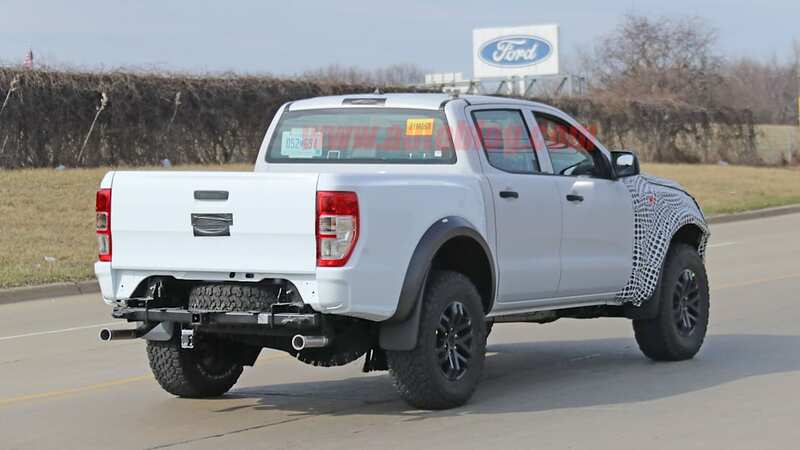 That engine makes 325 horsepower and 400 pound-feet of torque in the F-150. 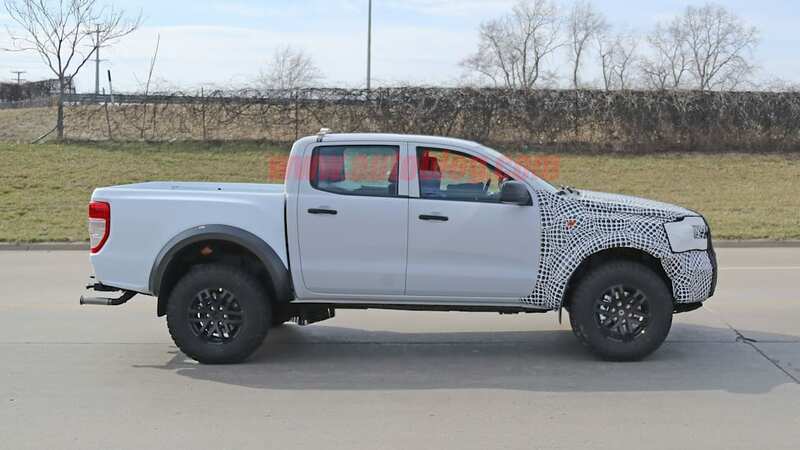 We think that would be more than enough power to motivate a Ranger through the off-road obstacles a Raptor should be able to conquer.